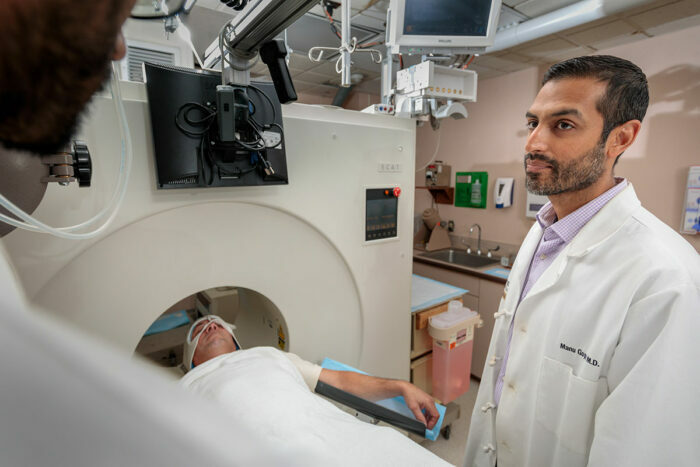 Manu Goyal, MD, oversees a brain scan. Goyal and colleagues have found that women's brains appear to be three years younger than men's of the same age. The findings could explain why women maintain their cognitive skills longer than men.